A humanoid alien lands on earth, and soon discovers he likes to eat Italian. Italian people, that is. Incompetent detective McSorely is the only one with a clue about what's going on, and even his grasp of the situation isn't too firm. The rest of the police force thinks he's crazy, while the alien continues sampling the Italian cuisine of New York City. 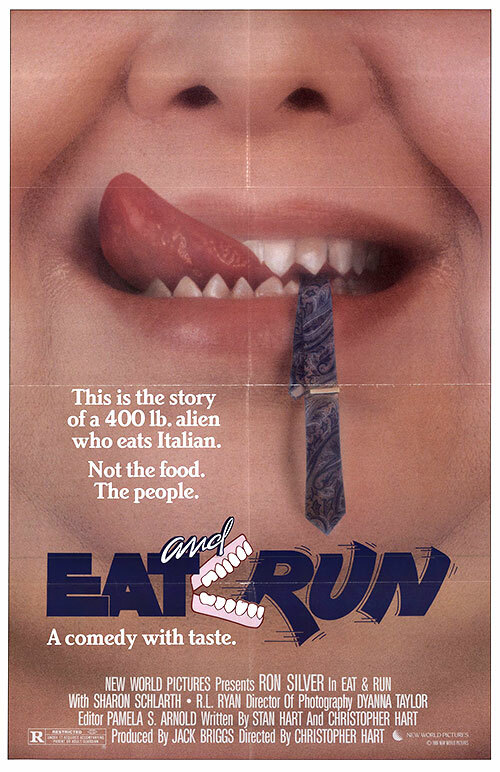 0 Response to "Eat and Run (1987) Christopher Hart"